I’m professionally registered the British Association for Applied Nutrition and Nutritional Therapy, as well as with the Complementary and Natural Healthcare Council. The CNHC provide a UK register of practitioners who have met national standards. For the past 7 years I've been specialising in the areas of weight management and body composition, IBS, and problems with energy and sleep. A regular guest on Sky News and Made in Bristol TV, I've also featured on over 40 live shows for BBC Radio Bristol, as well in The Daily Mail and several magazines and programmes internationally. I'm a guest speaker for Bristol University's undergraduate medical programme at the Centre for Academic Primary Care. I also spent 2 years teaching and leading clinics for the College of Naturopathic Medicine in Bristol where I also served as Director of Studies for 4 years. I’ve also had several years of experience motivating and leading groups of my clients through physical transformations using tasty, natural food – backed with only a few targeted supplements and a sensible amount of exercise. Here the emphasis has been on shape - not weight - as you swap fat for lean body mass. You can drop a dress or shirt size without your net weight changing at all, so the emphasis is always on shape, not weight. Amy Willerton, model and TV presenter, managed to win the Miss England Bikini Competition halfway through my original 5 week Bikini Dream Team programme. She, along with the rest of the participants lost at least a dress size in 5 weeks with just a small selection of supplements, my breakfast mix, a moderate exercise routine, and plenty of real tasty food. 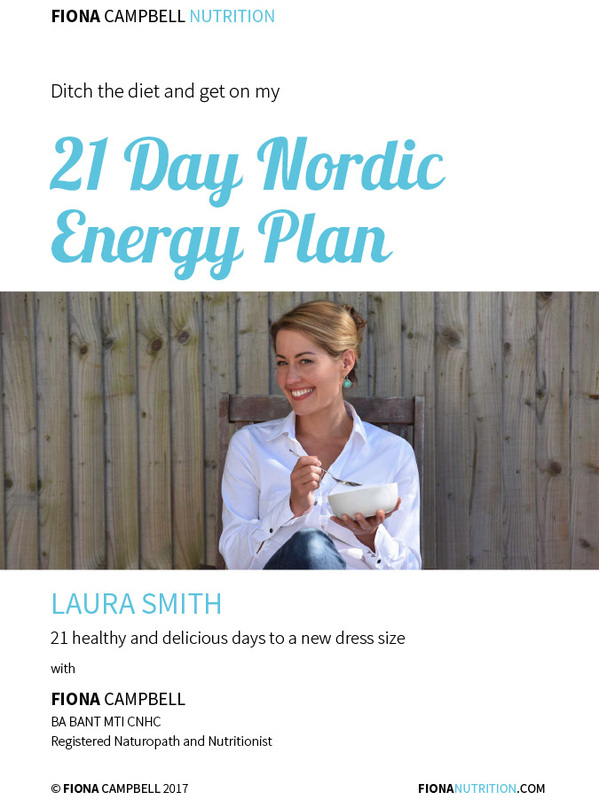 Amy wrote a review of my latest 21 Day Nordic Plan - in the Huffington Post recently – you can read about it here. The success of the Bikini Dream Team programme led to the creation of my 21 Day Detox which I've run for the past 3 years. Over a hundred of my clients have managed to lose a dress or shirt size in a record 3 weeks just by changing their approach to food alone. So in summary, I've helped hundreds of men and women - from professional sportspeople to Miss Universe contestants - to achieve the vitality and shape they've always wanted with simple, practical, and science-based advice that works. Your path to success with losing weight and maintaining an amazing shape is simple. All you have to do is get back in touch with food that nourishes you - and learn how to relax and connect your body with that part of your brain that loves what you're eating: your primitive or "monkey" brain. This brain-body connection is what allows your body to recognise and extract all the goodness that natural food contains. You’ll be eating more slowly and chewing your food well. Feeding your monkey brain also means that you’ll be allowed to make food choices that aren’t healthy. As you retrain your palate and become satisfied with less of the unhealthy foods, they’ll start to feature less and less over time. When I say "real food", I'm talking about food that's rich in nutrients and bursting with flavour - simply because you're eating it in season and it's lived closer to where you live. It hasn't been gassed, whizzed, or stored, or travelled around the planet to be washed and packaged before it finally arrives on your plate, exhausted from any potential nutrient value it had in the first place. These are the real superfoods - not the ones that are being cleverly marketed and shipped in from abroad. When I came across the New Nordic Recommendations (NNR) published in 2012, I was absolutely thrilled. In my hands I had all of the evidence in one place, from over 100 researchers and scientists who have been studying the impact of the European food chain on health and environmentally sustainable food choices. They concluded that eating a variety of local, seasonal foods is the key to weight management and long term health. It's as simple as that. This set of recommendations are what I've always stood by and now affectionately call The Nordic Way.